January is all about the roses! January is all about the roses. Mid-December through mid-January is the perfect time to winterize your rose bushes. If you aren’t sure how to go about it, come on into the Nursery and we will gladly explain the process. Not all roses are created equal. Roses come in all shapes and sizes, or so it seems: shrub roses, tree roses, miniature roses, climbing roses and ground cover roses. Fragrant roses and scent free roses. 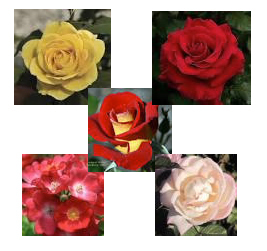 Hybrid tea, grandiflora and floribunda – we are happy to explain the difference. You have a full rainbow of color from which to choose; the purest white to the deepest red, with blues, lavenders, pinks, oranges, salmons, corals and yellows in between. Then there are the unique names: Best Kept Secret (new this year), Ketchup and Mustard, Ch-Ching, In The Mood, Look-A-Likes Hydrangealicious; Hydrangealicious? You get the gist. We have introduced 10 new roses to the Moller’s collection. The 2015 rose collection is now available for purchase at Moller’s Garden Center…and they are ON SALE through the month of January. 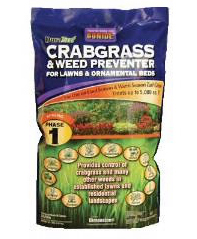 Pre-emergent is a pretreatment to prevent weeds from settling into your garden throughout the coming months.Bonide Crab Grass & Weed Preventer with Dimensionas the active pre-emergent agent is the best product we know for Desert lawns. It should be applied January – February in order to prevent weeds from germinating. Use Greenlight Amaze Grass & Weed Preventer in established flower beds for the same purpose. Stop those pesky weeds from germinating before they ever have a chance to take hold. Follow application instructions carefully. As with any chemical, be sure to use the right product for the job. The cold weather may seem to have come and gone, but don’t be fooled. Desert temperatures can easily drop down below freezing through the month of February and even into March. Enjoy the warmer weather while we have it but keep the freeze cloth close at hand. Continue watering the garden a little later in the morning to avoid icy walkways and frozen plants. Remember to limit watering frequency. A thorough application every two to three days for established gardens should do the trick at this time of year. Frost damaged material isn’t pretty to look at but DO NOT trim it away yet. Though an eye sore, the frozen foliage protects tender new growth. Garden pests tend not to be prolific when the weather is cooler but they can still be present. We continue to see bougainvillea looper, spittle on rosemary and leaf minor on the citrus trees. If you are not sure what ails your plants, bring us a leaf sample. We will help you identify the problem and set you up with the correct pesticide. Monthly fertilizing with organic fertilizers such as Dr. Earth andFox Farm is a fine idea but the BIG month for fertilizing is February, so get ready. Enjoy a quiet month of gardening in January but have your pruning shears at the ready. May your garden grow healthy and prosper in the new year.